Learn the time of day you're most energized, creative, and inspired, then tailor your working hours to be during that time. Some people are night people who find energy working after everyone else has gone to bed. Some people are morning people who wake up refreshed and revel in the quiet early hours of the day. Others are mid-day people who sleep in late and go to bed early — but I can’t imagine that! I am a morning person. I thrive in the morning and during that peaceful time, before the hustle and bustle of the day begins, I am my most focused, creative, and productive self. In the afternoon, I drag a bit and find that I have to dig deeper to find my creative place and at night, I’m just ready to be done. Knowing when my best time of day is, allows me to thrive is business. To serve myself, my own business, and my client projects in the best way possible, I plan my schedule to fit the way I work best. I keep my mornings open for the most important strategic, deep thinking, and creative tasks and the big projects that need large blocks of uninterrupted time. I use the afternoons to schedule phone calls and meetings, handle revisions on client projects, schedule my blog posts, and handle smaller tasks that are simple and quick. At the end of the workday, I wrap up my day, plan the next day, and close the door on work. I use the evenings and night to relax and recharge so I can start the next morning fresh. 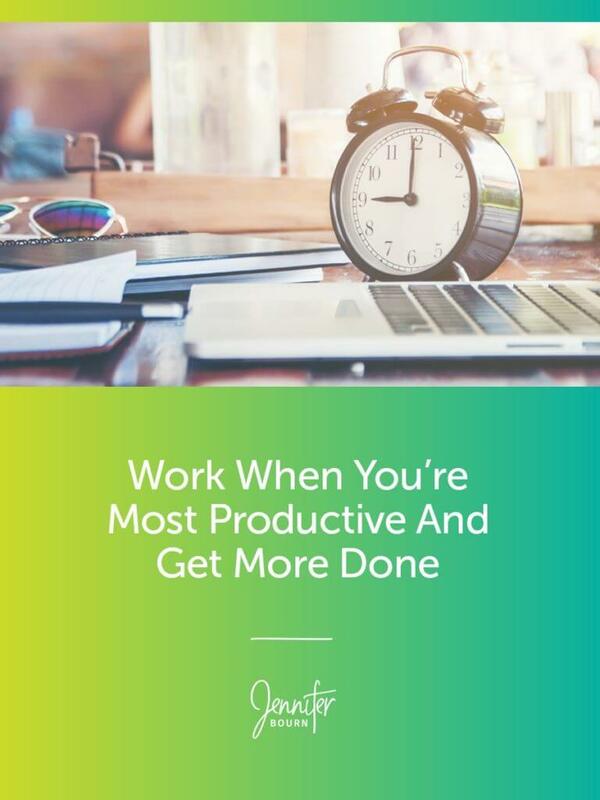 This approach supports my natural state of being and helps me tailor the work I need to do for my business to the times of day that fit those tasks perfectly. It makes it easier and more enjoyable for me to complete my tasks at hand and it has been such a blessing. Today, I urge you to do the same. If you are struggling with productivity, or if you feel de-energized during the day — try this approach to your schedule and see a big difference!